The General Data Protect Regulation (GDPR) is a replacement for the Data Protection Act 1998, and is designed to harmonises data protection across Europe. The GDPR is established to harmonise data protection across Europe for both organisation and individuals. It is a regulation, so therefore, enshrined in law and legally enforceable. Becomes applicable from 25th May 2018. 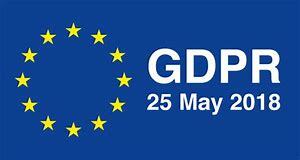 Oakfield School has undertaken to meet the regulations of GDPR, and as such, has circulated to Staff, Pupils, Parents and Carers, the list of Data that we collect and store, and who we share this data with. Please see the attached pages for further details of this information.